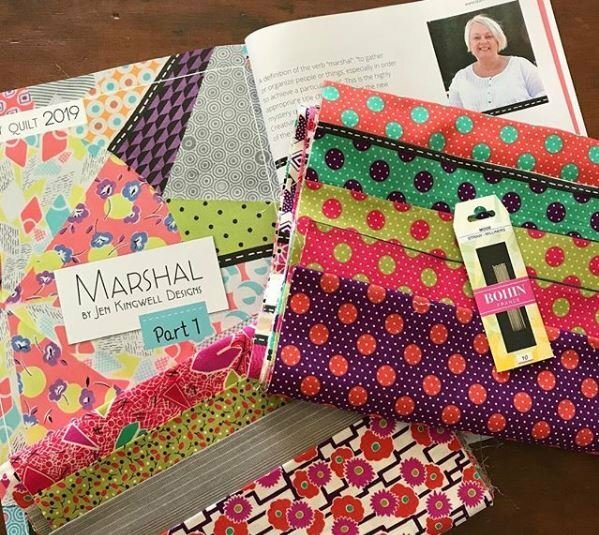 Join Annette as she walks you through the steps to make the newest Mystery Quilt from Jen Kingwell. Kits available for purchase! Instructor Bio: Annette	has	been sewing	since she learned	to make	doll	clothes from	her grandmother Louise. She learned to sew,	embroider, paint and garden from her grandmother and took her love of	sewing and designing	into	her teens when she	continued to sew	and	created her own clothing. After her	children	were born, she learned to smock and made outfits for them	until they outgrew the	style. Since Annette loved hand sewing, she was encouraged by	friends to learn to quilt. Making quilts that would	someday be family heirlooms was the aim. Her mom Jacque instilled in	Annette	the	love	and	appreciation	of antiques. Because	most of the	family quilts and heirlooms were stolen	or destroyed,	there were no antique quilts for passing	down. It	seemed	the	perfect void	to fill. In 1997,	a talented group of ladies asked Annette to join their block exchange group with	the purpose of reproducing antique	quilts. The group, known as the 19th Century Patchwork Divas, would choose a quilt,	have a block	exchange and a wonderful	scrappy	reproduction	quilt would be the result. Because choosing	the reproduction fabrics specific for the	time was important,	knowledge of antique fabrics was necessary. Education through classes, reading and learning from the antique	dealers was vital	for Annette to add to her fabric	history knowledge. Annette has learned so much since she has been involved with the group,	but	the learning never ends. With each	block exchange, there	is more to learn whether it	is finding the	perfect reproduction blue for	an 1870's quilt or	perfecting a Y seam. 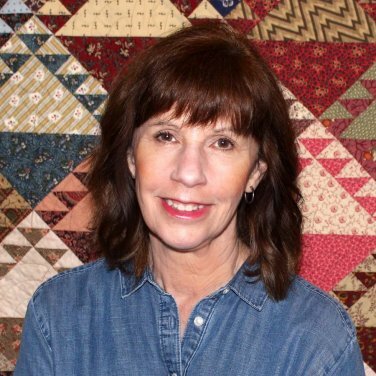 Annette	loves sewing, photography, gardening, running, antiquing at Round Top and watching	the grandkiddos. Annette	and	her	husband Jim, of 40 years, live in Dalworthington Gardens, Texas. They have	two	children,	Lauren and David,	three grandchildren, Lucy, Joshua and Riley,	and	1 dog, a	border collie	mix	named Jake.